Mason jars are one of the most loved DIY projects! There are so many ideas to try out and each of them is absolutely beautiful, no matter what’s the occasion or the purpose of the craft. Mason jar crafts are ideal for DIY beginners, they’re budget-friendly and can easily be turned into a nice gift as well. 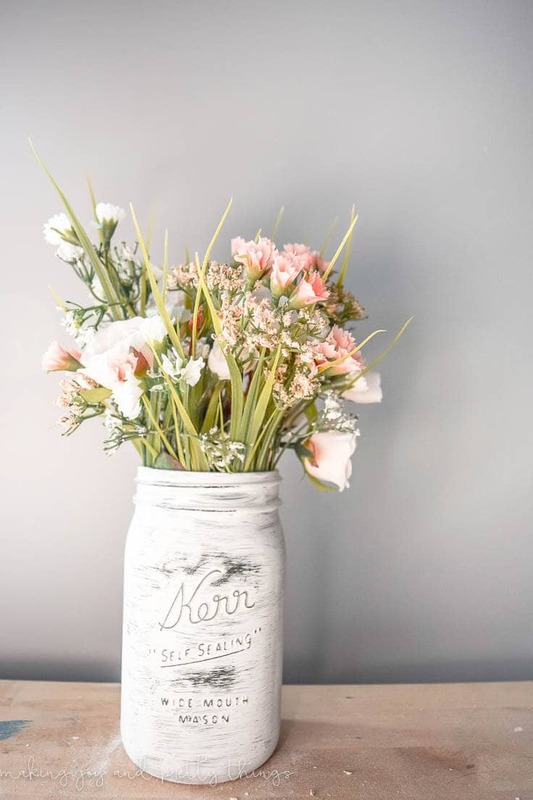 There are different ways to decorate a mason jar and since we’re feeling those spring vibes right now, we picked our ten favorite crafts that would perfectly fit into any room – it’s time for some spring decoration, right? 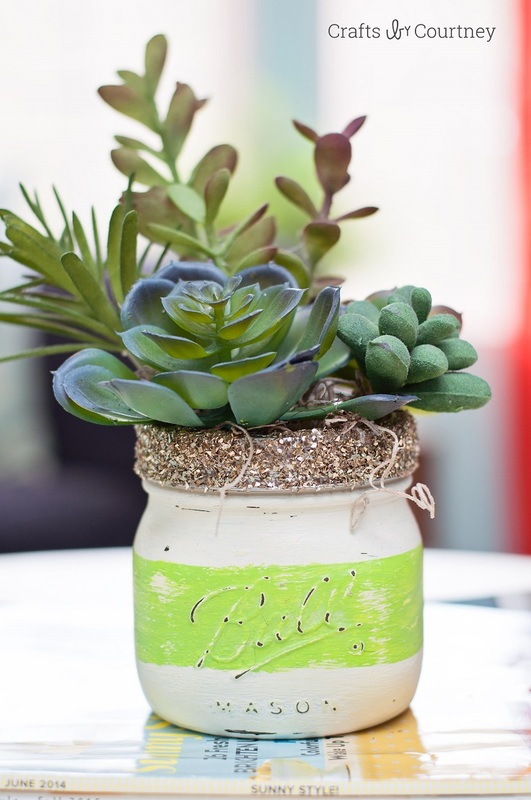 Ideal for small plants such as succulents, the mason jars can be your new favorite planters! 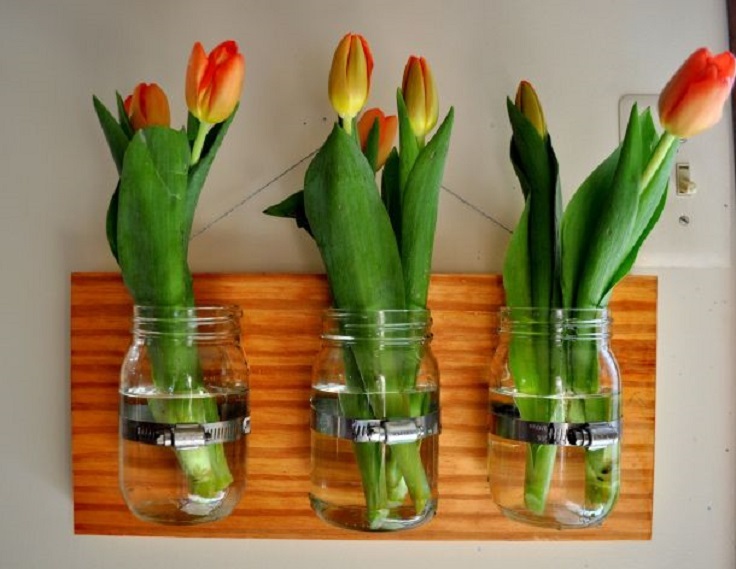 Forget about the all-glass look and experiment with so many DIY ideas. How about getting some chalk paint and do some painting? This can be really fun! You need to get as well some Mod Podge, Chalk Finish Mod Podge, dry foam, succulents (you can use artificial) and moss. If chalk-paint isn’t enough for you, how about getting some glitter too? If you want to give your room some farmhouse vibes, then adding such details is the key. It doesn’t have to be something big and expensive when it can be something old, but very useful such as mason jar! The trick here is the distressed look – you can achieve it by using sandpaper after you paint the jar and it’s well-dried. Adding your favorite flowers can make it look so much better! 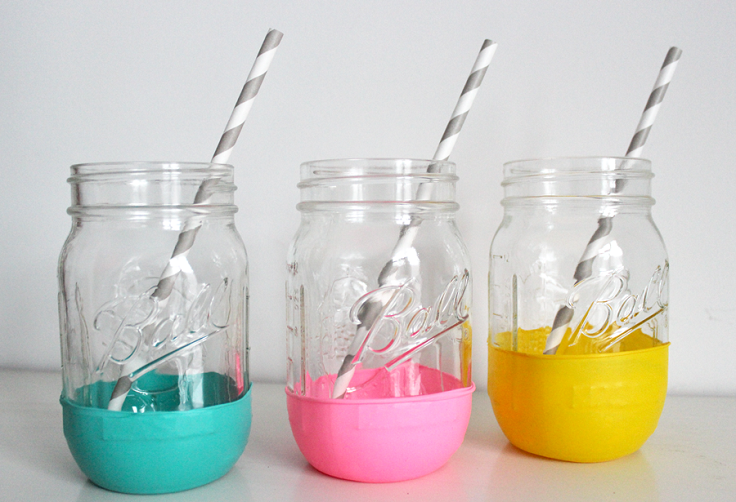 Hey, who would have thought that balloons can serve as a decoration to mason jars? This is a super fun project that is also very budget-friendly as well. Besides the balloons and the mason jars, you will also need scissors, a ruler and a pen (these two are optional). 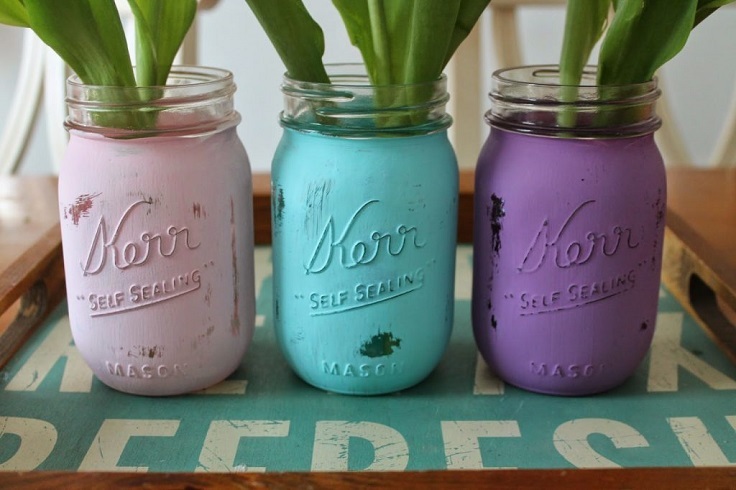 These mason jars can be such a colorful decoration in any room! This is one of the most popular mason jar projects you can read about. It’s very common to see these in store and online, and it’s no wonder considering how simple this project is and how little it costs. 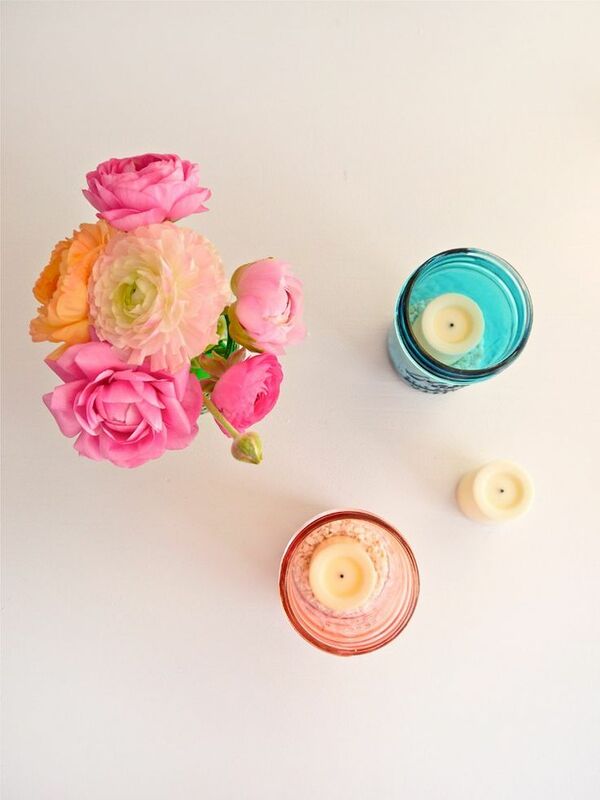 Besides the mason jars that will serve vases, you need craft paint, paintbrush, and sandpaper. This is an excellent idea if you’re considering to bring in some vintage vines. This is one of our favorite rustic crafts – it’s cheap to make and it looks so gorgeous with just a little bit of effort! Get all things burlap and lace – sheet, flowers, ribbons, jute cord. You will also need a hot glue gun and both chalkboard stakes and pens. 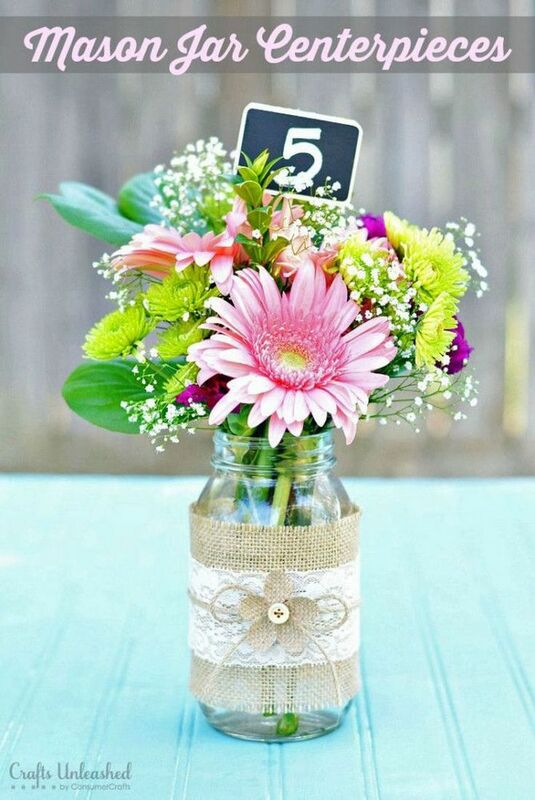 The rustic mason jar can be the perfect table centerpiece. It’s simple looking, yet it is really a nice decor to have around! Storages jars are very important when it comes to organizing. It’s so easy to lose something and spend so much time looking for it. 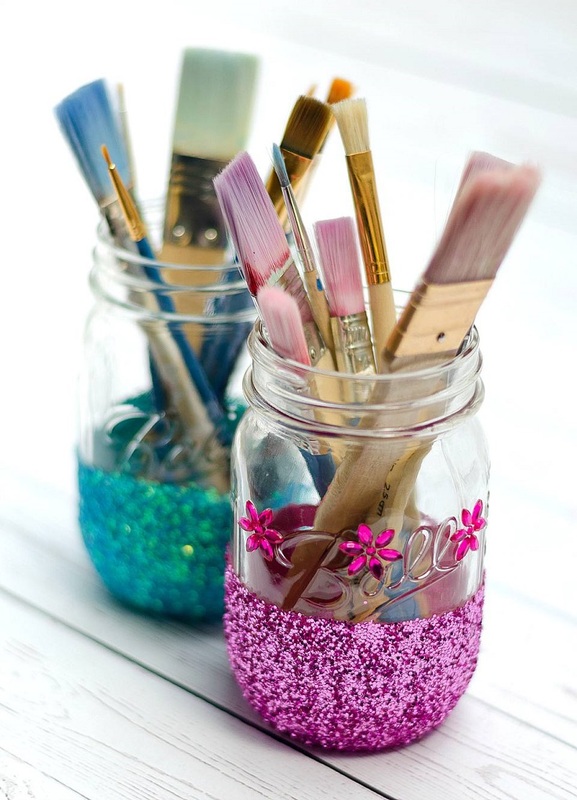 Here’s where storage jars come in hand, but in order to make them the new cute decor, you need to get creative and consider few ideas, such as gluing glitter – let’s admit it, there’s something so irresistible in glitter stuff! The DIY hanging garden is such a popular project and we totally get why. It gives us the ability to decide how we want it to look and how to serve us as well. This is the kind of project that might be a little hard for DIY beginners, but it’s definitely worth the shot! Here’s what you need: 1 plank of wood long enough to hold as many jars as you are using, paint (or stain if necessary), 3 hose clamps, 3 screws and a drill. We’ll pause a bit with the mason jar vases and focus on something for those of you who are DIY-obsessed or just need a little bit of organizing when it comes to materials. 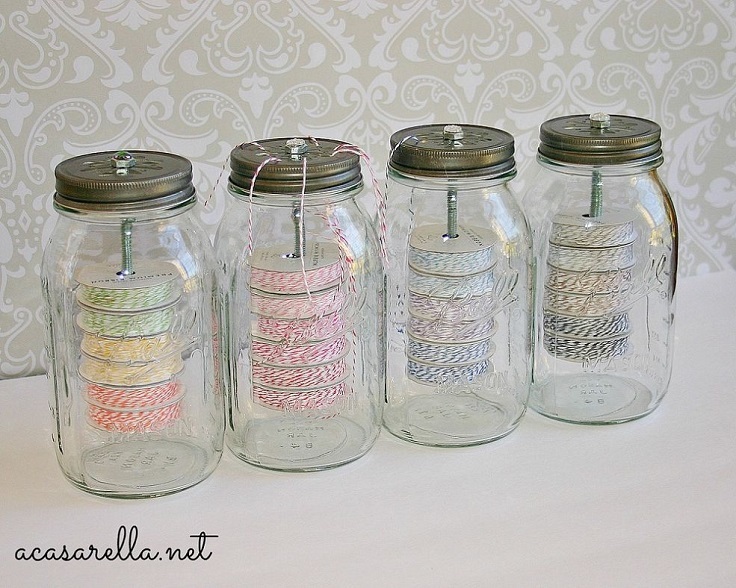 These jars will help you keep the baker’s twine organized (we all know how hard is to deal with knotted twine!). You need 1/4″ x 6″ hex bolts, some 1/4″ hex nuts, and a handful of 1/4″ cut washers. Plus, it looks super cute, right? Looking for a way to add some color to the room? This is seriously one of the easiest ways to do so! First, make sure you have the following materials: ramekins or bowls for mixing, paper towels, foil, Mod Podge, liquid food coloring, stir sticks or small disposable spoons and cookie sheet. Note that because of the color you used, these mason jars have only decoration purposes – don’t use them for food or drinks! Playing with adhesive stencils has never been so interesting! It’s so fun to pick your favorite among so many gorgeous designs and once you do it, it’s time to include some painting as well. 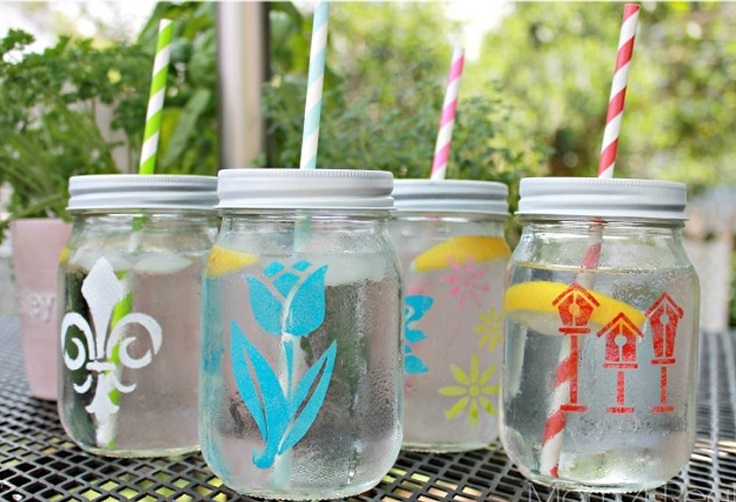 You can either make your storage jars cute or if you add a cute lid you can turn them into wonderful drinking glasses! Drinking lemonades is going to be such an amazing pleasure during those warm, spring days.